Blake Wood, the writer of many Employee of the Month profiles, has been selected as UIS Employee of the Month October 2013. 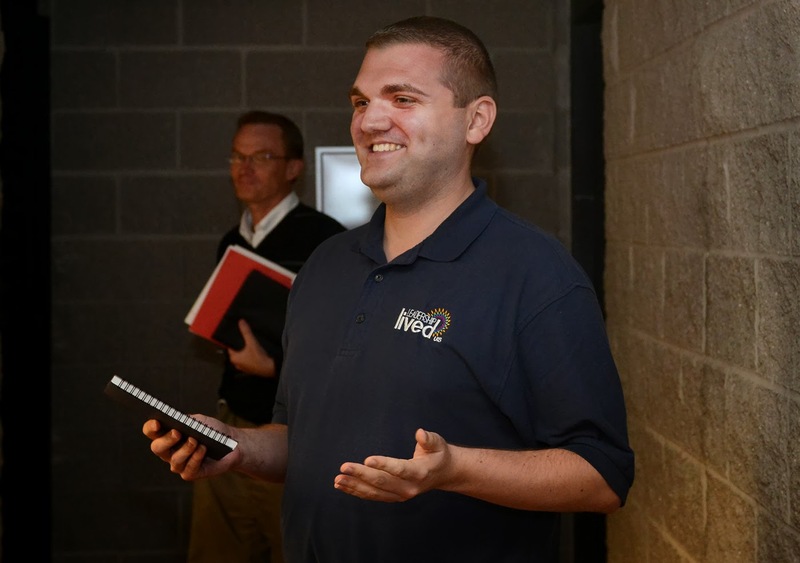 Blake works as the assistant director of Public Relations and is well known across campus due to the videos he creates that highlight UIS faculty, staff, students, and campus events. He's also known for his hard work. "Blake is always going out of his way in not only helping others, but staying late or coming in early or on weekends to make a project or task better," his nominator writes. Students and staff go to Blake when looking for advice or information about campus events or activities. His friendliness makes him a great resource for the UIS community, as he strives to help anyone who asks, and will do his best to find answers to questions posed to him. He is considered the "Social Media Guru" in Campus Relations, and stays on top of the UIS social media outlets. "Blake is not only a very talented person, but a very good person in general. He does a lot of Leadership lived profiles and features, but he is the perfect example of Leadership lived," writes his nominator.